Everyone panic! There's an unverified story about to break across the internet, and it involves a big mean internet giant being evil. One Kindle customer has encountered a bug on his Manage My Kindle page and then after being misled by an uninformed Amazon rep, he concluded that Amazon had deliberately decided to no longer allow downloads of Kindle ebooks - not even the DRM-free ones. To be more exact, the troubling report concerns the "Download and Transfer" which can be seen on Manage My Kindle page. According to this source that option has disappeared. The Kindle customer in question is Eric Rosenfield, and over on his Wet Asphalt blog he posted a damning transcript of his conversation with the Amazon rep. I won't quote it here because of length but I will say that it had me worried at first. Unfortunately for Eric there's a major problem with his conclusion. He's flat out wrong. I double checked and I can still download ebooks from the Manage My Kindle page. I can download DRMed ebooks, I can download DRM-free ebooks, and I can even read the latter in calibre (without removing any DRM). And just to be doubly sure, I went and bought a Cory Doctorow ebook (his work is bound to be DRM-free). It downloaded just fine and I read it in calibre without any issue. Given that I had no issue, I can only conclude that Eric encountered a bug of some kind. 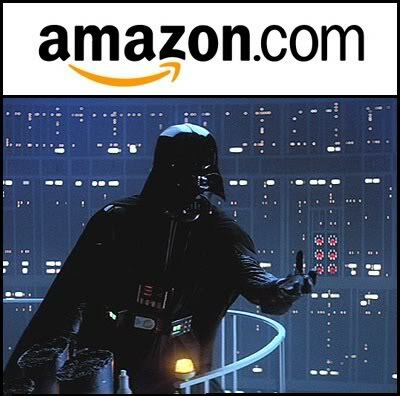 That stinks, but it's not a sign of nefarious misdeeds on the part of Amazon. P.S. If you should happen to see Eric's tale being passed around, please do everyone a favor and give them a link to this post. I am all for blaming Amazon but let's limit ourselves to only yelling about their actual misdeeds. P.P.S. And since I did not say it earlier, I'd like to thank the commenters who set me straight on the Kindle DRM contract story that I got so incredibly wrong. The original blog doesn’t even set off a warning bell for me. It is obvious that the CSR just doesn’t understand what he is asking to do – they keep focusing on the Nook part of it. It is unfortunate that the CSR he talked with didn’t seem to understand what he needed, but given the transcript and a couple phrases it might be an English as a non-primary language issue. The other issue is that he speaks about downloading a .mobi, but when I download them they are .azw(3) files. Sure, they are the same (in this instance), but the CSR may not be that familiar with it. But I thought Amazon’s CS was perfect and everything they did was magical and shot fairies and rainbows? Maybe they are testing this in a few markets. I have two Amazon accounts, one personal and one for business. One has an actual Kindle associated with it, and the other just Kindle for Mac at the moment. I used to have the Download and transfer via USB option on both, but now it’s only on the account which has a physical device associated with it. While I think Eric overreacted here, when it’s clear the CSR was confused and thought he was contacting the wrong company, I’m not sure I’d write off the missing link as a bug. That’s possible, but they could also be 1) trying to be helpful by not providing more menu selections than they think the customer needs, or 2) trying to make it more difficult for folks using non-Kindle hardware to move books over. While my mind can conceive #2 there since I know some folks wouldn’t put that past Amazon, my bet would be on #1, as I think Amazon is plenty happy to take customers away from their competitors even if it’s only through content sales rather than hardware. That’s why they have Kindle for iOS and Kindle for Android in the first place. Sure, they reserve some perks for Kindle owners, but they don’t put any real roadblocks in the way of enjoying ebooks on other devices (publishers who insist on DRM are another matter). Besides, it’s so easy to grab the downloaded file from Kindle for PC / Mac, that removing the Download button would hardly stand in anyone’s way. So, I don’t think it’s a bug, but I don’t think it’s anything nefarious either. I’m sure someone working on the site simply thought streamlining the menu for non-Kindle owners made sense. I’m cool with that. If I want to pull something into Calibre it’s no trouble launching Kindle for Mac, letting it sync real quick, then copying the file from the My Kindle Content folder. It’s not really any more involved than the several clicks it’d take to get to the Manage My Kindle page on Amazon and download directly. Might even be a little faster on balance. You’re right that this is a plausible possibility; I don’t like that Amazon would remove the option but I can see how they might think it’s a good idea. I wonder if the OP had recently done away with his e-ink Kindle. I encountered this same issue a few years ago and was told that the download and transfer via USB option is only available for e-ink Kindle owners. If you don’t have the physical reader, you are expected to use your computer or device’s app to ‘download’ content. If this isn’t a bug and if he really did see a difference, then you are probably right. I can’t see a way to download an ebook so it can be transferred to an app.